We’d love your help. Let us know what’s wrong with this preview of Aru Shah and the End of Time by Roshani Chokshi. Twelve-year-old Aru Shah has a tendency to stretch the truth in order to fit in at school. While her classmates are jetting off to family vacations in exotic locales, she'll be spending her autumn break at home, in the Museum of Ancient Indian Art and Culture, waiting for her mom to return from her latest archeological trip. Is it any wonder that Aru makes up stories about Twelve-year-old Aru Shah has a tendency to stretch the truth in order to fit in at school. While her classmates are jetting off to family vacations in exotic locales, she'll be spending her autumn break at home, in the Museum of Ancient Indian Art and Culture, waiting for her mom to return from her latest archeological trip. Is it any wonder that Aru makes up stories about being royalty, traveling to Paris, and having a chauffeur? To ask other readers questions about Aru Shah and the End of Time, please sign up. OMG I am so excited for this! I'm glad Rick Riordan got authors from those specific cultural backgrounds to write these stories! I'm excited to see what Chokshi will do with Hindu mythology! My question is, what gods and goddesses will be featured? I this story set in the same universe as the Percy Jackson and the Olympians, Heroes of Olympus, Magnus Chase and Kane Chronicles series? Megan No, these are separate from the Riordan verse as said by Rick himself. "These are original stories generated by…moreNo, these are separate from the Riordan verse as said by Rick himself. I finished this book feeling the extreme weight of doing something remarkable for my older self to be nostalgic about, and, also realizing that the one thing all different mythologies seem to have in common is that apparently all gods just live for drama. Aru Shah and The End of Time begins with a bad idea, and bad ideas begin, as most bad ideas do, with a dare. Aru Shah likes to bend the truth. That was what her classmates meant when they called her a liar, and they w I finished this book feeling the extreme weight of doing something remarkable for my older self to be nostalgic about, and, also realizing that the one thing all different mythologies seem to have in common is that apparently all gods just live for drama. Aru Shah likes to bend the truth. That was what her classmates meant when they called her a liar, and they weren’t wrong, but they missed the main point. Aru was a “liar” in more profound a way than they knew. Aru lives with her curator mother in the Museum of Ancient Indian Art and Culture in Atlanta, and she had for so long fed her mind on stories that if you could wander into it, you would discover a fantasia. Aru just didn’t expect her real life to intersect with fiction. She might have intentionally lit the supposedly cursed Lamp of Bharata and unintentionally released the demonic Sleeper from his slumber, prompting the end of the world. She might really be the reincarnation of one of the Pandava brothers, famous demigods, and she might even force her mind to expand outward and believe that Mini, a complete stranger, is her newly found “soul sister”, her guardian angel is a grumpy pigeon named Subala (“Boo” to aggravate him) and the fate of the universe lies in the hands of two clueless twelve-year-old. But surely, there must be some fundamental rule of the universe that forbids you set off on quests in your Spider-Man pajamas because that’s where Aru draws the line. It's startling to take stock of how of a piece this book feels with the Percy Jackson series, of what a complicated dance of intermeshing nostalgias this book stirs and explores. Aru Shah and The End of Time is a tapestry woven together by threads from Hindu cosmology and folklore, and Chokshi has successfully plumbed a lesser-represented mythology and written an immersive world that is described in such exquisite manner and given such a measure of life that it seizes the imagination like a drug. The whole is an uplifting, joyful story that is chock-full of witty banter and pop-culture references that left me in an uncommonly good mood. Aru fell tumbling inside a story and simultaneously writing it all around her, and not alone but with someone—Mini—who just happened to be as brave and magical as a fairy tale made real. I absolutely loved their friendship. Two sides of the same coin, they stumbled upon each other, in a collision, as though they had long been wandering in the same labyrinth and had finally rounded the corner that would bring them face-to-face. Saving the world, as we all know, is traditionally a dull affair made cheery only by having someone else to keep you company. And in spite of the chill that didn’t quite leave them as the ill-omened day creeps closer, I love how they were still well able to marvel at their latest unfolding of their life. Aru Shah and The End of Time is delightful and assertive and proud and makes me want to read more of this story for more of these voices, connections and lives. Fans of Percy Jackson will absolutely love it, and new readers will be mesmerized by this imaginative and enticing world! Finally, can we just take a moment to appreciate the fact that Rick Riordan has apparently gotten tons of letters asking him to, "please write about Indian mythology! do the Maya mythology next!" and he was like, "those aren't my stories to tell but let me find you own voices writers who CAN write these books for you so you get to see your culture represented and valued too!" and now this good dude is heading up his own imprint of more mythology books for kids and using his white privilege to enhance and empower the voices of authors from marginalized communities? I respect one (1) man. Have you ever read a book and thought, "Wow, I wish I'd written that!"? For me, Aru Shah and the End of Time is one of those books. It has everything I like: humor, action, great characters and, of course, awesome mythology! But this is not a book I could have written. I just don't have the expertise or the insider's knowledge to tackle the huge incredible world of Hindu mythology, much less make it so fun and reader-friendly. If you are not familia Have you ever read a book and thought, "Wow, I wish I'd written that!"? If you are not familiar with Hindu mythology - wow, are you in for a treat! You thought Zeus, Ares and Apollo were wild? Wait until you meet Hanuman and Urvashi. You thought Riptide was a cool weapon? Check out this fine assortment of divine astras - maces, swords, bows, and nets woven from lightning. Take your pick. You're going to need them. You thought Medusa was scary? She's got nothing on the nagini and rakshas. Aru Shah, a salty and smart seventh grade girl from New Jersey, is about to plunge into the midst of all this craziness, and her adventure will make your head explode in the best possible way. If you already know Hindu mythology, you're about to have the most entertaining family reunion ever. You're going to see lots of your favorites - gods, demons, monsters, villains, heroes. You're going to soar up to the heavens and down into the Underworld. And no matter how many of these myths you already know, I'll bet you a pack of Twizzlers you're going to learn something new. Can you tell I'm excited to share this book with you? Yeah, I'm pretty excited. So what are you waiting for? GET THIS BOOK! I never managed to truly and effectively get a full sense of Aru Shah’s personality, because the voice of the author is far more present and loud. And still, somehow, I managed to dislike Aru. She made me cringe so many times that at some point I was questioning if I was this annoying at the age of twelve. I don’t think I thought about picking my nose every day like Aru does. It is somewhat interesting from start to finish, that I will admit. The mythology spiked my This book is trying too hard. It is somewhat interesting from start to finish, that I will admit. The mythology spiked my interest and I was curious to see how Aru and her new friend would go about saving the world from the mess Aru created by awakening a demon. But it’s also extremely disappointing, seeing that the only character I adored was Boo and, well, he’s a pigeon. Yes, I have a crush on a pigeon, how weird and pathetic is that? I mean, he is incredibly cute and the only fully-fleshed character, as ironic as that sounds. We also meet other characters along the way, but the problem is they never stay for long, and definitely not long enough for us to form a deep connection to them, plus the majority of mythological creatures in here are either mean or think too highly of themselves. I get it, you’re… important, but you don’t have to remind us every five seconds. I am actually shocked I didn’t enjoy this, having absolutely loved the author’s The Star-Touched Queen duology. Perhaps those of you who couldn’t stand the purple prose in that one will find this story more pleasant, since the only thing that’s purple about this book is 1/5 of its cover. For those of you who wonder if it’s as good as any of Rick Riordan’s works, it’s not. It tries to be Percy Jackson here and there, but it fails miserably, and besides, I don’t believe it should have tried to begin with. If only Aru Shah had been a relatable kid and her friend Mini less mousy and a sidekick, I would have ended up loving this to pieces most likely. But hey, at least there’s the pigeon to look forward to meeting. Oh, I am so, so sad. Oh, I loved this. Middle grade books are usually hit or miss with me, but this one was such a fun adventure. Aru lives with her mother above the Museum of Ancient Indian Art and Culture. One day when she lights the Lamp of Bharata, the Sleeper is freed and everyone around her is frozen in time. Only one of the 5 Pandava brothers (from the Mahabharata) could light the lamp, so Aru's new pigeon guardian informs her she is a child of the gods and must now go on a quest to save the world. Her Pandava Oh, I loved this. Middle grade books are usually hit or miss with me, but this one was such a fun adventure. Aru lives with her mother above the Museum of Ancient Indian Art and Culture. One day when she lights the Lamp of Bharata, the Sleeper is freed and everyone around her is frozen in time. Only one of the 5 Pandava brothers (from the Mahabharata) could light the lamp, so Aru's new pigeon guardian informs her she is a child of the gods and must now go on a quest to save the world. Her Pandava sister Mini (who has a lot of allergies and an Epi-pen! yesss) shows up to help Aru stop the Sleeper from stealing the celestial weapons, find out how he can be defeated, train, and basically save everyone. Aru was such a wonderfully regular 12 year old who's scared and not at all ready, but gets the job done anyways. I adored her matter-of-fact tone (like the scene where she explained that many Hindus don't eat beef). And it was pretty funny to see all of her relatable references to current complaints like the Instagram algorithm. "There was a Night Bazaar where you could purchase dreams on a string. If you had a good singing voice, you could use it to buy rice pudding dusted with moonlight." The tone of the writing here was a bit different from Roshani's YA books, but was absolutely perfect for this story! I think Rick Riordan fans will love seeing the familiar type of adventures during Aru's quest and the whole scene where the kid is claimed by whichever god is their parent. And I've only studied a few Hindu texts, so I recognized a lot of the figures in the story but also learned a lot as well. I think all ages could have fun with this book! Disclaimer: I received an ARC from the publisher in exchange for an honest review. This is no way impacts my review. 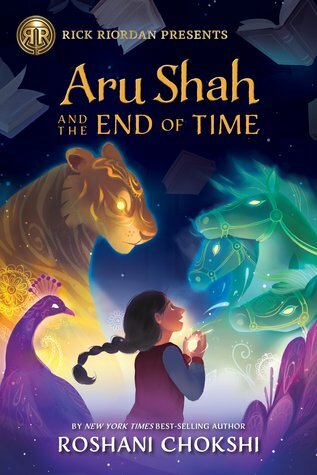 Aru Shah and the End of the Time is a middle-grade fantasy novel based off of Hindu mythology, following a 12-year old girl, Aru Shah, who finds out she is a reincarnation of one of the five Pandava brothers and essentially has to change the world. If 12-year old me had had the ability to read a book like this, maybe I wouldn't have been ashamed of my heritage growing up because soc Disclaimer: I received an ARC from the publisher in exchange for an honest review. This is no way impacts my review. If 12-year old me had had the ability to read a book like this, maybe I wouldn't have been ashamed of my heritage growing up because society told me that being Indian wasn't good enough. So to all the 12-year old Indian and/or Hindu kids who are going to read this book, you deserve to feel the way I never got to feel-proud of your heritage. Aru Shah and the End of Time is not only one of the most important books I've ever read, it's also one of the best. From the plot to the characters to the writing, it is downright incredible in every way. Let's start by talking about the characters. Our main character, Aru Shah, is a girl who lies a lot. And I loved that. I loved the creation of her character because it was unlike any middle-grade protagonist I have ever seen before. Aru is not your classic heroine. She essentially causes the mess that sets off this books. She isn't a morally grey heroine because she is without a doubt good, but she is a pre-teen who doesn't necessarily understand good and bad and who just wants to be excited by the popular kids, but isn't. And then her world changes forever. Then there's our other primary character, Mini. Mini is part-Filipina and part-Indian, knows way too much about medical stuff, and is Aru's "soul-sister." I loved Mini just as much as I loved Aru. She, unlike Aru, is much more a classic heroine who you would root for, but she still has intricate details woven into her-such as her obsession with how anything and everything can make you sick and how smart she is. And as these two characters are working together and are essentially sisters we get a huge dose of girls supporting girls in this book which I live for. If there's a trope we need to see more of, it's that one. And of course, we have some other great characters in this novel. Boo, the girls pigeon guardian. Hanuman and Urvashi, part of the Council, the girls godly parents (which I'm not spoiling for you, you have to read and find out which reincarnations they are), and more. Each supporting character, villian, etc. had their own tone that made them their own character, no matter how big or small their part was. And now, for the plot. Listen, if you gave me this and Percy Jackson to choose from, no offense but I would choose this novel (not that I don't love Percy he's also rad). Like I said, this is the book 12-year old me needed but never got. The journey the characters go on in this novel was such a fun one to be a part of, but let me just say I got freaked out time and again hoping our heroines would survive the countless demons they faced. Something that I think was really crucial to how much I enjoyed the plot was the pacing. The pacing in this novel is exquisite. That's all I can really say without spoilers, but I just really loved the pacing. And also, how it tied in Hindu mythology to the plot. There were parts when I honestly thought I might cry because of how much it related to me growing up. And all the different stops Aru and Mini made on their way to defeat the over-arching antagonist of this novel were so fun to read. I have been anticipating this novel with every bone in my body. I have been aching for it to be in my possession. I literally almost cried when it was announced. And it did not disappoint. It exceeded my expectations. 4.5 stars! This was super cute and had all the Rick Riordan nuances I could have ever wanted! I loooove the humor in this book and I’m SO excited for the next ones! This was absolutely EVERYTHING I hoped it would be! Just afjdklsd forget how old I am for a second: I love love love the Percy Jackson books. (Except for you, Mr. Burning Maze. Go fix all your typos because That Character definitely did not die. I am in denial.) I go to Riordan stories for (a) humour, (b) loveable adorkable characters, and (c) epic mythology but with an absurdist and cleverly witty twist. And what did Aru Shah do?! Since this is a Riordan imprint, I just wa This was absolutely EVERYTHING I hoped it would be! Just afjdklsd forget how old I am for a second: I love love love the Percy Jackson books. (Except for you, Mr. Burning Maze. Go fix all your typos because That Character definitely did not die. I am in denial.) I go to Riordan stories for (a) humour, (b) loveable adorkable characters, and (c) epic mythology but with an absurdist and cleverly witty twist. And what did Aru Shah do?! Since this is a Riordan imprint, I just wanted to open with that sentiment, because it really has the Percy Jackson feel and voice (!!) and I'm just super excited Riordan is sharing this and bringing minority #ownvoices authors under his banner to share their stories in correct and beautifully told ways. ➸ Aru was just a freaking amazing little squish. She has a big imagination (read: she lies a lot lol lol) and she did the entire quest in Spiderman pyjamas. She's awkward and cute and struggling with doubts and wants as well as being totally confident at times and yelling at demons and making deals with ancient gods. ➸ Also MINI...she's the other reincarnated Pandava. She's like a germaphobe and is always saying "if you do that, we'll all die!!" and she's adorable and I loved her. I also loved their friendship growing to such a tight-knit sister bond. ➸ THE GODS AND MYTHOLOGY!! I very much don't know much Indian mythology so I learned a lot plus I love the way it was presented. Also Aru was equal parts reverent of the myths and also sassed about them too and I think that's adorable. ➸ Quest plot!! Adventure!! Journey!! Near death experiences!! As does happen. It was all really fun and the pacing was great...although I do think it was kinda long. But I'm impatient lmao. ➸ It's hinting we'll meet more Pandava sisters soon and I am excited. I also loved Boo, the snarky side-kick guide pigeon, and all the messages about belonging, feeling ignored and invisible, wanting friends, and loving your found-family. Aru Shah and the End of Time is the kind of book that I would have killed for when I was younger. I mean it has the fast pacing just perfect for a middle grade book, a very good writing style, Indian mythology (How cool!) and a beautiful cover!! Not only that, this book was hilarious, I was laughing out loud more than one time and if you know me enough, you'd have known by this time that Satan took my soul long ago and I am an emotionless creature now! The good things don't stop here, this was devoid of all the love drama which is so good for a change! And did I mention that it had many modern references for other books and TV shows! No wonder Rick Riordan presented this as it was so good and reminded me of Percy Jackson but in a different way! I think I’ve made it pretty clear over time that I am a big fan of Rick Riordan. I love mythology and I love learning through his books. When Riordan announced that he was going to publish own voices authors take on mythology I was beyond excited. Aru Shah and the End of Time was no exception of this. I fell in love, fast. One reason was that it was a female lead, something we don’t typically see in Riordan’s work. An Indian female lead is something that holds incredible importance, and just to see Hindu mythology accurately represented. 12-year-old Aru Shah has a habit of telling lies. She lies about basically everything to the people at her school so they don’t look at her as weird, the joys of being middle class in a rich school. One day she’s caught out in the lie when three people from her school come to where she lives – she lives in a museum, like how cool is that?! Things turn pretty nasty quickly with one of these three kids recording Aru as an attempt to get her to tell the truth. Instead, she decides to light a lamp that, as her mother says, is cursed. Unfortunately for Aru, the lamp is cursed. A powerful individual is let free and everyone around her is now frozen in time. With the help of a pigeon guide, Aru discovers she has the soul of the great Pandava brothers. Along the way, Aru meets one of her sisters (because there are no brothers in this generation) and must go on a quest in order to stop the powerful individual she let go free. Simultaneously she must come to terms with being a demigod and how much her mother has hidden from her. Oh, and the best part? Aru must do all this in her spider-man pyjamas as if that isn’t a look. I really loved Aru Shah and the End of Time. It was such a thrilling tale of mystery, surprise and, my favourite, humour. The writing of this particular story came across as pretty flawless. I also know, that if anyone reading this is like me you’re expecting this story to be basically identical to Percy Jackson. I’m here to say you’re wrong. This book completely holds its own and, dare I say it, is even better than Percy Jackson in some ways. It was truly such an important book and I am desperately waiting for book two! Anyway, let me jump into a more detailed version of what I did and didn’t like about Aru Shah and the End of Time by Roshani Chokshi. Hear me out, I grew up learning about the Greek gods in school. When I picked up Percy Jackson for the first time I had a big understanding of all the variations. It made it a little boring for me, honestly. I know nothing about Hindu gods. This particular topic wasn’t taught in my schools (I went to 9 over 13 years, as a little fun fact). I know own voices books don’t exist to teach the public anything but I really did love learning about the Hindu gods. I have been deeply curious about the mythology for some time and I don’t trust Google, so it was just great to read something that I was unfamiliar with. Also, the Hindu gods weren’t as big of jerks as the Greek gods in Rick Riordan’s books, also a positive for me. The humour in this book is amazing. I was giggling and smiling almost the entire book and I’m not even the target audience. It was just such a fun journey that I can’t screech and rave about this book enough. The humour was similar to that of Percy Jackson, dry and most of the time from the main character being unable to shut up, but I just feel as if this particular style was better suited for the target audience. It felt like I could give this book to one of my cousins and she would be laughing along with me. Boo is the pigeon guide that Aru and her Pandava sister Mimi are given. He’s not exactly the best guide nor does he really have the patience for two young preteens, but man was he hilarious. His character really brought Mimi and Aru together, and just the whole idea of a pigeon leading two girls on a quest makes me chuckle. To be fair though, I despise birds so the fact I even found this amusing shocks me a little. If you’ve known me for a little while you know I am a big pusher of female friendships in books. I live for them. I love when two girls support one another rather than tearing each other down. Mimi and Aru gave me this. The two are young and it would have been easy to write two girls that hated each other but Roshani Chokshi didn’t, and I loved it. The girls obviously bickered and struggled at some points, but they’d also only just met and been informed they were sisters which can put a strain on any time making friends. 2018 is the year of supportive friendships and I’m here for it. Do I have to elaborate on this? After the ending of Aru Shah and the End of Time, I desperately have grabby hands for book two. This series will also finish when I’m 24 and if you don’t think I’m going to read every single one, you’re wrong. I am here for this series. I’m really just nitpicking here, but it did feel as if Aru got lost at points. Obviously this a big quest and a whole bit about discovering who you are but I just wanted more. It did seem at points that Aru was morally grey but in truth, she is simply a preteen trying to find her place in the world and her identity. I’m interested to see if she does become morally grey throughout the course of this four book series. I stand by the fact though there should have been a little more focus on Aru’s feelings and emotions at some points. First, let me just say, I loved this book. In the same thread as Rick Riordan When three classmates show up at her home slash museum of Ancient Indian Art and Culture to confront Aru Shah about lying, she decides to impress them with stories of the artifacts in the museum. Such as the cursed Lamp of Bharata. Trying to save face, she lights the lamp and releases the Sleeper. Now Aru must stop the Sleeper from waking the God of Destruction, or everyone in the world will be frozen in time. This is my latest favorite of this year! It's so difficult to get a book with Indian characters, let alone a fantasy one. Along with Hindu mythology, it's unheard of. Thank the Gods and Goddesses, for Roshani Chokshi, is here. I absolutely loved this book! I adored the characters, Aru and Mini. I love Mini even more than Aru. She is allergic to almost everything and has a freaking Epi-pen! It's so good to finally see a character who is truly a human today, not like the always-perfect characters i This is my latest favorite of this year! I absolutely loved this book! I adored the characters, Aru and Mini. I love Mini even more than Aru. She is allergic to almost everything and has a freaking Epi-pen! It's so good to finally see a character who is truly a human today, not like the always-perfect characters in YA novels. Talk about diversity! This book is full of that! I love how Chokshi incorporates the Hindu mythology. As I am a Hindu, I know a LOT of this mythology. I always love the myth of Pandavas and Kauravas. I want more of the Hindu Gods and Goddesses. 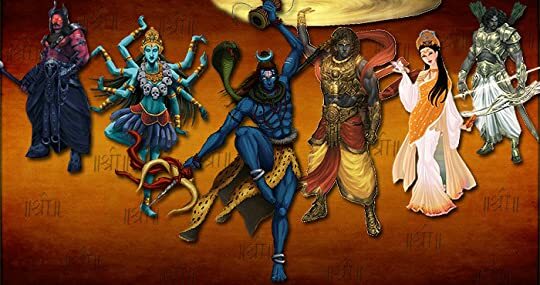 If you think Zeus is powerful, you haven't heard about the Trinity Lords Shiva, Vishnu, and Brahma. I can now see why Rick Riordan published this book! It's so like his books with the same sense of humor, down to the titles. Ah! How great it is to hear the full Indian names like Arundati and Yamini, not the americanized Indian names. Okay for a middle grade/children’s book I absolutely fell in love with this. Aru is a very imaginative girl who lives in an Indian museum. One day after making a bet Aru accidentally unleashes a demon god that has the capability to destroy the world. This book is how she stops him. Along the way we meet Subala the pigeon (my personal favourite character) and Mini who is also gifted like Aru - the girls are Pandavas: reincarnations of famous Indian heroes with ancestors related to the gods. This no Okay for a middle grade/children’s book I absolutely fell in love with this. "Suddenly, the world she thought she knew had opened up, as if stage curtains had been yanked back to show her that there was so much more than what she'd imagined. There was magic. Secrets crouched in the dark. Characters from stories, like the ones she'd been told all her life, were taking off their masks and saying, I was never a tale, but the truth." Aru Shah and the End of Time was one of my most anticipated releases of 2018, and it didn't disappoint. Let me just get this out of the way: "Suddenly, the world she thought she knew had opened up, as if stage curtains had been yanked back to show her that there was so much more than what she'd imagined. There was magic. Secrets crouched in the dark. Characters from stories, like the ones she'd been told all her life, were taking off their masks and saying, I was never a tale, but the truth." Aru Shah and the End of Time was one of my most anticipated releases of 2018, and it didn't disappoint. Let me just get this out of the way: if you love Rick Riordan's books, read this. It's a colorful, lovely story steeped with rich Hindu mythology, and I couldn't get enough of it. In this first book, we follow a young seventh grader named Aru, and she's a bit of a liar. She lives in the Museum of Ancient Indian Art and Culture in Atlanta, and her mother is the museum's curator. Unlike her wealthy classmates, Aru will be spending her Autumn break at home. And like I said: Aru has a habit of fudging the truth to make her own reality more colorful and interesting. This backfires when four of her classmates come to the museum to catch her in a lie, and they end up daring her to light the ancient Lamp of Bharata. Even though her mother has warned her not to, Aru lights the lamp, freezing time and freeing the Sleeper, who is intent on awakening the God of Destruction. So yeah, Aru's Autumn break has gotten off to a bad start. I will admit, the first 100 pages of this book were fun, but I wasn't completely immersed. It wasn't until about a third of the way through that Aru's story wholly sucked me in; there's a scene in Aru Shah that really...surprised me, and it gave a depth to the story that I wasn't expecting. From that point on, I absolutely loved this book. It is no surprise that Roshani's writing in here was beautiful, but oh man, was it lovely. I excessively tabbed my copy of this book, and I rarely ever do that. And for a middle grade? Not likely. The flowery, humorous prose, paired with the rich Hindu mythology entangled throughout this story, made Aru Shah and the End of Time a truly wonderful reading experience. This is the most well-written middle grade book I've ever read, and I will continue to read anything Roshani writes. As far as comparisons go, Percy Jackson meets Sailor Moon is completely spot on, especially if you consider what's to come in later books. A badass girl-gang of Indian demigods destined to save the world? YES PLEASE. And like Rick Riordan's mythology-centered YA and middle grade stories, this book was incredibly funny. That's due in part to Aru's humorous and ironically honest inner monolgue. Also, I'm going mention Boo the talking Pigeon for a second: not only was he hilarious and comically self-righteous, but he also developed a very sweet connection with two of our main characters. Yep, Aru has another young girl that she teams up with on this adventure. Unlike Aru Shah, who is loud, opinionated, and imaginative, Mini is...not. She's allergic to everything, has a big fear of death (don't we all), and is maybe too smart for her own good. But oh, did I love her for it. Both girls are wonderful in their own way, and I adored their friendship. There's no romance in this book: just a lovely friendship between two girls. Thank the gods. The action was exciting. The plot was full of adventure and whimsy and strange, dreamlike imagery. The Hindu mythology was fascinating, and I can't wait to get more from this world, from these wonderful characters. I have no doubt that the Pandava Quartet will be an amazing middle grade fantasy series. And now, I will anxiously wait for Aru Shah and the Song of Death. I can't wait. Boo fluttered to Mini's shoulder. "Well, that's not how the legendary Arjuna would've done it." "I'm not Arjuna," said Aru, lifting her chin. "I'm Aru." " Percy Jackson meets Sailor Moon with Indian mythology"??? Roshani wants my soul now! You have me with Sailor Moon! A very fun romp for a younger middle grade audience. We get to follow Aru and Mini as they have to save the world from the Sleeper complete with a Mushu-Zazu-type animal sidekick. I loved that Aru really has to self-reflect and confront why she feels the need to constantly paint her life as more than what it is. She's so afraid of not being enough that she lands herself in all sorts of trouble (this book). I loved Mini in this. I think it's because I know people very much like Mini in real life, A very fun romp for a younger middle grade audience. We get to follow Aru and Mini as they have to save the world from the Sleeper complete with a Mushu-Zazu-type animal sidekick. I loved that Aru really has to self-reflect and confront why she feels the need to constantly paint her life as more than what it is. She's so afraid of not being enough that she lands herself in all sorts of trouble (this book). I loved Mini in this. I think it's because I know people very much like Mini in real life, so seeing her point all all the possible ways that they could die was making me laugh. I also thought that Mini was a good representation of what can happen when you're a part of two strong cultures. Both sides of the family want to make sure you aren't ignoring the importance of their culture, but that can sometimes come across as dismissing the importance of the other. I think Chokshi did a fantastic job of weaving Hindu deities and legends into the story. It does have a similar feel to the Percy Jackson series because many of the deities are very silly and make you question how they've lasted as long as they have being as incapable as they are. Even the scene where Aru and Mini meet their first baddie was similar to Percy's and Annabeth's trip to the Emporium. The chapter titles are just as silly as the Riordan's chapter titles (which I love them both). So it seems like Chokshi may have borrowed Riordan's formula a bit, but I don't mind. It was a fun time! Aru and Mini constantly have sassy lines. I have a child's sense of humor, so I was enjoying the jokes a lot. Esse livro é um lacre e eu fico feliz de ter lido com tanta antecedência ao lançamento, que só vai ser em 2018. I love that Rick Riordan is inviting other authors to add to his mythological world. For all of you looking for more mythology of India, you'll want to pick this one up. So many gods and goddesses and demons and monsters. I love that Hanuman can grow super tall. So curious to see what's up with the boy next door we met at the end. Also, love the tiger and the seven headed horse! This book! This book is so inspiring and beautiful! Every page was like reading a dream. I wish I could have had this book when I was in middle school, and it brings me to tears of happiness when I think of young girls getting to read it now. I absolutely loved this book! I’m really happy this imprint exists, and I’m really happy that ARU SHAH AND THE END OF TIME was its debut release! It was such a treat to read a story that has a similar vibe to Rick Riordan’s own work, but that also tackles a new mythology (Hindu) and also bears the unique voice and writing style of its author. I really liked Chokshi’s tale, particularly because of how accessible she made Hindu mythology and how compelling both of her main characters ended up being. Cannot wait for book two! Underholdende lesning godt plantet i hinduistisk mytologi. Jeg synes det var utrolig interessant å lese Straume (NRK) og Krøger (Dagbladet) sine kritikker av boka - Straume litt lunken, mens Krøger tydelig kritisk. Hun likte ikke boka. Hun synes det var disneyfisert, overflatisk, dårlig humor og blottet for varme. Jeg er helt enig Disney-vibben. Den er der absolutt. Jeg kan være enig i Straume sin betraktning om at boka hopper litt overflatisk fra scene til scene uten å bygge spenning skikkelig. Underholdende lesning godt plantet i hinduistisk mytologi. Jeg synes det var utrolig interessant å lese Straume (NRK) og Krøger (Dagbladet) sine kritikker av boka - Straume litt lunken, mens Krøger tydelig kritisk. Hun likte ikke boka. Hun synes det var disneyfisert, overflatisk, dårlig humor og blottet for varme. Jeg er helt enig Disney-vibben. Den er der absolutt. Jeg kan være enig i Straume sin betraktning om at boka hopper litt overflatisk fra scene til scene uten å bygge spenning skikkelig. Men jeg synes likevel ikke boka er overflatisk. 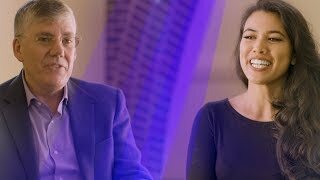 Jo lenger ut du kommer, jo mer dypdykk gjør vi i hinduistisk mytologi, og forfatteren kjenner sine historier og røtter, det er imponerende arbeid. Det finnes mange elementer av humor i hinduistisk mytologi. Men annerledes humor enn vi er vant med. Hanuman er ofte framstilt som en morsom karakter. Gudene og demonene er blanding av skumle og humoristiske. Du ser det samme i Kiranmalaboka, som hvert fall Straume var mye mer begeistret for: Der er demonene opptatt av å rime på vers. Me resultó muy interesante leer una historia basada en la mitología hindú, y más tratándose de una aventura middle grade, que ya sabéis que me pirran. Tiene todos los ingredientes de las novelas de Riordan: padres celestiales, antiguos enemigos mitológicos, situaciones disparatadas, humor... pero siento que le faltaba algo; quizás, un poco más de madurez en la mezcla que se hace de todos esos ingredientes. O quizás fue el momento en el que lo leí. I know this is gonna be one bad review in a million good reviews for this book, but I'm going to share my thoughts on it anyways. Reading this book, I was horrified. I wish I never read it. I put it down several times, but picked it up again because I wanted to see just how far the author will take it. Each page revealed a different atrocity. My last thought when I finished it was "This book needs to be off the shelves, now." Basically, Valmiki is The Hipster on the Anthill, Hanuman is a big ape I know this is gonna be one bad review in a million good reviews for this book, but I'm going to share my thoughts on it anyways. Reading this book, I was horrified. I wish I never read it. I put it down several times, but picked it up again because I wanted to see just how far the author will take it. Each page revealed a different atrocity. My last thought when I finished it was "This book needs to be off the shelves, now." Basically, Valmiki is The Hipster on the Anthill, Hanuman is a big ape who wears a blazer, Urvashi wears a salwar kameez, saat is the number six, the seasons care about instagram, Bollywood is all about slapping each other and "invisible wind", Shakhuni(AKA Shocky) is a freaking pigeon, all the God's vehicles/vahans are stolen, the numbers one and two are dogs in the land of death, pronounced ick and dough, the palace of the Pandav's is an emotional wreck, Dharm Raj's danda is nicknamed Dee Dee, and this is the first of a series of atrocities. First of all, I have a question/s for the author. You claim to be a Hindu. Are you fine with the world dismissing your religion, beliefs, and way of life, as mythology? Are you fine with the western world dumping Hinduism in the same pile they dumped Greek, Roman, Egyptian, and various other mythologies? Are you absolutely fine with the fact that the Hindu Gods are now the content of Rick Riordan's FANDOM WIKI PAGE? Are you fine with the world understanding Hinduism the way you portrayed it in this book - silly, comical, childish, stupid? If a living, breathing, actively practiced religion can be made such a mockery of as you have done to Hinduism in this book, surely the same thing can be done to Christian and Islamic mythology? Or do we dare not call christianity and islam mythology? When last did you watch a Bollywood movie? Shiva: No, seriously, why? That's a horrible wish. I was so horrified at this that I actually put the book down to wonder whether I bought a fake, altered copy of the book. No way in history that Shiva was ever portrayed as such. Yet there it was, even though Shiva is such a supreme GOD - as supreme as Jesus to christians. Nobody would write a conversation like that with Jesus, not even in a children's book, now would they? Christians would never tolerate such a thing. So why are we Hindu's tolerating it? Why are we allowing this author to portray our religion like this? -page 40: "... she had imagined something from a Bollywood movie. Lights glittering. A wind - out of nowhere - making her hair fly, and everyone breaking into a choreographed song and dance at the exact same time." -page 57: "Vayu, Lord of the Winds, stirred a slight breeze. He was dark skinned and looked like the handsome star of a Bollywood film." -page 134: "3. You could show up like an actor in every Bollywood movie, with an invisible wind blowing through your hair and everyone suddenly dancing around you." -page 200: "Her mother's flight out had been cancelled, and they'd spent the whole day inside, snuggled together on the couch. They'd eaten ramen while watching a Bollywood film where everyone got fake slapped at least once ..."
-page 277: "Bollywood: India's version of Hollywood. They produce tons of movies a year. You can always recognize a Bollywood movie, because somebody gets fake-slapped at least once, and every time a musical number starts, the settings changes drastically. (How did they start off dancing in the streets of India and end up in Switzerland by the end of the song?)" You wanna watch a good Bollywood movie? I suggest the latest release Padmavaat. Or if you're into action, try Dhoom 3. Comedy? Try Golmaal, or Welcome, or Hera Pheri. Horror? Try Pari. Want to learn about Indian culture from India itself? Try Bajirao Mastani, Chennai Express, Bahubali. Want to learn about Hinduism? Watch the series Mahakali, or Hanuman, or Mahadev. I'm truly curious as to which movies the author watched. page 48: "Then there was monkey-faced Hanuman, the trickster who had famously helped the god Rama in his fight against the demon king." This is true, Hanuman is half monkey and he did help Ram fight the demon Raavan, but do we want the world to refer to Hanuman as "monkey-faced"? And this is describing something called the "Council" (which does not exist in Hinduism) consisting of names like Hanuman, Uloopi, Surasa, Jambavan, Kubera, and Urvashi who are "Guardians" and "worthy of worship but they were often considered seperate from the main league of gods and goddesses" - please tell me when Hanuman was ever considered separate. 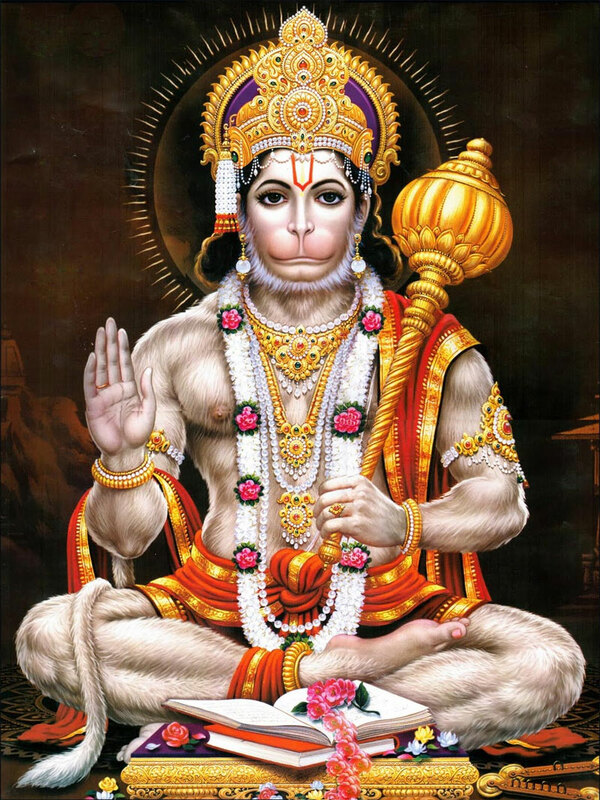 The GOD who we chant and dedicate the Hanuman Chalisa to? And according to this book, the council "gather on Tuesdays and Thursdays, and during full moons and new moons, and also for the season premiere and finale of Game of Thrones." Would anyone ever dare to say that Jesus and his apostles gather to watch Game of Thrones??? page 279: "Hanuman (HUH-noo-mahn) One of the main figures in the Indian epic the Ramayana, who was known for his devotion to the god-king Rama and Rama's wife, Sita. Hanuman is the son of Vayu, the god of the wind, and Anjana, an apsara. He had lots of mischievious exploits as a kid, including mistaking the sun for a mango and trying to eat it. There are still temples shrines dedicated to Hanuman and he's often worshipped by wrestlers because of his incredible strength. He's the half brother of Bhima, the second-oldest Pandava brother." page 281: "...it describes how the god-king Rama, aided by his brother and the monkey-faced demigod Hanuman ..."
page 282: "Vayu is also the father of Hanuman, the monkeyfaced demigod." page 269: " "This way," said the monkey-faced demigod, bounding ahead of them." " To the left of the celestial dancer, a deep voice let out a powerful laugh. "You really hold on to a grudge, don't you? Hasn't it been a millenium since he ruined your outfit?" The monkey demigod Hanuman materialized in his throne. He was wearing a silk blazer and a shirt patterned with forest leaves. His tail flopped over the back of his chair, and from one of his ears dangled a jewel that looked like a small crown. "It wasn't my outfit, you big ape," snapped Urvashi. page 50: "Aru turned to see the most beautiful woman in the world sitting on the throne labeled URVASHI. She wore black leggings and a salwar kameez top that would have appeared as simple as white spun cotton if it didn't glimmer like woven moonlight. Around her ankles was a set of gunghroo bells. She was tall and dark-skinned and wore her hair in a messy braid. She looked as if she'd just stepped out of dance rehearsal. Which, given the fact that she was the chief dancer of the heavens, was probably true." Salwar Kameez? Seriously? Not to mention that she gives Aru and Mini and MEHENDHI MAP. Why are you working on such stereotypical ideas of Indians? -Draupadi coming home to her five husbands, page 60: "Imagine walking in your front door, calling out, Honey, are you home? and hearing: Yes dear! Yes dear! Yes dear! Yes dear! Yes dear! -Arjun invading his wife and brother's privacy when it was their year to spend together, page 61: "He could've just knocked on the door and shouted, Bro, I left my bow and arrow. Could you hand 'em to me? It'd be like asking a friend to pass you some toilet paper under the stall if you're in a pinch." -Hanuman describing his childhood, page 66: "When I was young I mistook the sun for a fruit. Got in a lot of trouble for that," he said, sounding more pleased with himself than guilt-ridden. "I clashed with a planet, and threw off a scheduled eclipse. Your father, Indra, was so mad that he used his famous lightning bolt to strike me down from the sky. It hit me in the side of the face, which is how I earned the name Hanuman, or 'Prominent jaw'." -Describing the first time Shiv and Ganesh met: "A Parvati is getting their home ready for Shiva's return, she tells Ganesh not to let anyone through the door(Guests can be a nuisance.) So Ganesh, being a good kid, says "Okay!" When Shiva strides up to the door, shouting, "Honeyyyy, I'm hooooome!" Ganesh and Shiva look at each other, frown, and at the same time say "And you do you think you are?" .... "Shiva lops of Ganesh's head. Which I can only imagine was supremely awakward for the family. To avoid a big fight with Parvati, Shiva goes out and grabs an elephant's head, sticks it on his son's body, and bam, now its fine. If that does not sound like mockery. Seriously. It's actual sentences in the book. Dear Author, you are making Hinduism sound like rubbish stories that have no moral intent, no teachings, no essence. Why did you write this book? I don't understand what other readers find interesting or thrilling about this book, or the story. If the world thinks that Hinduism as portrayed in this book is interesting, what would they say when they really start reading about Hinduism? If Harry Potter was burned because it portrayed witchcraft and sorcery, this book should too. I want this book to be banned and the series stopped. Plain and simple. Such a fun story and interesting mythology. Loved Aru, Mini, Boo and all the side characters. Can't wait to learn more about the other Pandava sisters and the Sleeper. very very fun and cute!! this made me so nostalgic for the percy jackson series (of course) but in its own fun way. aru is an AMAZING main character, the definition of 'spunky' and 'hero.' the reason i rated it 4 stars was only because it seemed a little too immature and cutesy (although that might just be because it's been literal years since i've read or been in middle school). i can't wait to read the next books which promise to be even better! representation: the premise of the story is hindu very very fun and cute!! this made me so nostalgic for the percy jackson series (of course) but in its own fun way. aru is an AMAZING main character, the definition of 'spunky' and 'hero.' the reason i rated it 4 stars was only because it seemed a little too immature and cutesy (although that might just be because it's been literal years since i've read or been in middle school). i can't wait to read the next books which promise to be even better! This book was so fun! What a great start to a new series, and I love Aru and Mini so much. I can definitely see the Percy Jackson vibes, but Roshani made this book all her own. Can’t wait for book 2. Your father wears a cross beneath his shirt, an agimat necklace passed down from his family in the Philippines. You dont how much this means to me; reading my culture in one of my most anticipated book. Now, I never got into Riordan’s various series. I’ve tried multiple times and they’re not for me. But I am all for his publishing company! I love that he’s giving a pl This review can also be found on my blog! The first book in a planned quartet by Roshani Chokshi. I thought this was wonderful and could see this being a life long favorite with children just like His Dark Materials and Harry Potter. Aru Shah is a heroine for the ages and I was so reluctant to put this book down. Not going to lie, there were a few rough spots here and there with flow and a few times I may have went, well this just seems like an obstacle to keep the story going. I loved the mythology, the characters, and the setting. Any The first book in a planned quartet by Roshani Chokshi. I thought this was wonderful and could see this being a life long favorite with children just like His Dark Materials and Harry Potter. Aru Shah is a heroine for the ages and I was so reluctant to put this book down. Not going to lie, there were a few rough spots here and there with flow and a few times I may have went, well this just seems like an obstacle to keep the story going. I loved the mythology, the characters, and the setting. Any book that returns to the Night Bazaar is always going to be an instant win for me. "Aru Shah and the End of Time" is about 12 year old Aru Shah. She and her mother live in a museum (I know, I may have squealed with delight) called the Museum of Ancient Indian Art and Culture in Atlanta, Georgia (I maybe squealed again). Aru feels a bit lost. Her mother is always gone looking for antiquities, she is at a new school where she feels like she doesn't fit in, and she lies (and feels bad about it). One of her lies catches up to her and three of her classmates arrive at the museum to confront her. Feeling pressured, Aru does something she has been told to never do, she lights the Lamp of Bharata which causes her world to turn upside down. Soon Aru finds out she is one of a reincarnation of brothers (soul, not biological) who are children of the gods. Aru is to seek out her fellow family and see about going against someone called "The Sleeper" before he wakes Lord Shiva and the world ends. Aru made me laugh. However, will admit that at times I got frustrated with her. Her trying to make excuses for her lies didn't really sit well with me. Chokshi has her face some repercussions for that, but still. She also does something I thought was a necessary cruelty that sounds like it's going to come back at her later in her life. I honestly don't know what choice I would have made. Not going to lie though, my favorite in this story had to be her fellow soul sister Mina. Mina is me all over. The two of them going off on a quest to save their families and the world was great. I also maybe laughed at the dismay everyone had that girls were doing the saving of the world thing and not boys. Aru due to being kept in the dark about her past is going purely on instinct. Mina is going based on the fact that her family has known about the pandavas. I also loved that Mina is Filipino and Indian. Her talking about her family and grandmothers was pretty cute. We have other characters we meet (gods, their chariots, The Sleeper, the Seasons, and the two sisters teacher/mentor/flying pigeon called Boo). I do have to say that it was kind of a cop out for Chokshi to show us parts of Aru's mother's history but not have them discuss it. The writing was so good. I became familiar with some of the figures mentioned in this book because I have read and devoured "The Star-Touched Queen" "A Crown of Wishes" and "Star-Touched Stories." The flow wasn't that great though after the initial start, I think the chapter endings needed to be tighter IMO. It did feel after a while though a little bit to me that Chokshi threw too much in this first book. It just read as overly long in places. Plus a few times Aru and Mina would be upset with each other and it felt like it was just done away with too fast. I get it's the first book though so I let that go. This book is the same setting as the "Star-Touched Queen" series. We hear about the Night's Bazaar (and get to see it again too!) but we get a new adventure that we realize is going to be dealing with these mythical brothers (now girls it seems) who are going to be reunited. We also get an inkling that something dark may be coming for Aru.